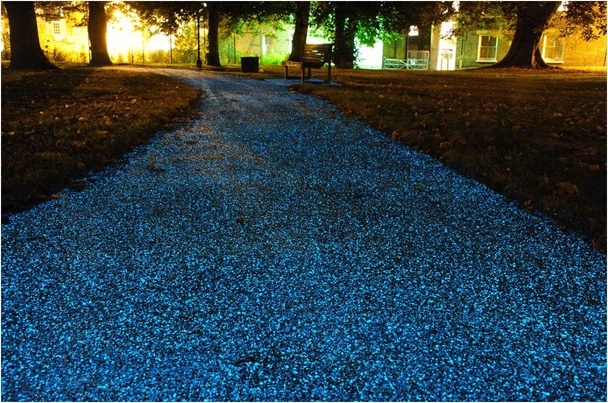 A UK-based company has come up with what it claims is a revolutionary way to light bike paths. Pitched as an alternative to street lighting, Starpath absorbs and stores energy from UV rays during the day and then releases the energy at night, allowing particles to glow. Not only does it beautiful your dull idewalk, it also has anti-slip properties. It can also help to reduce the risk of collisions between cyclists and pedestrians at night without having to resort to artificial painted center lines.